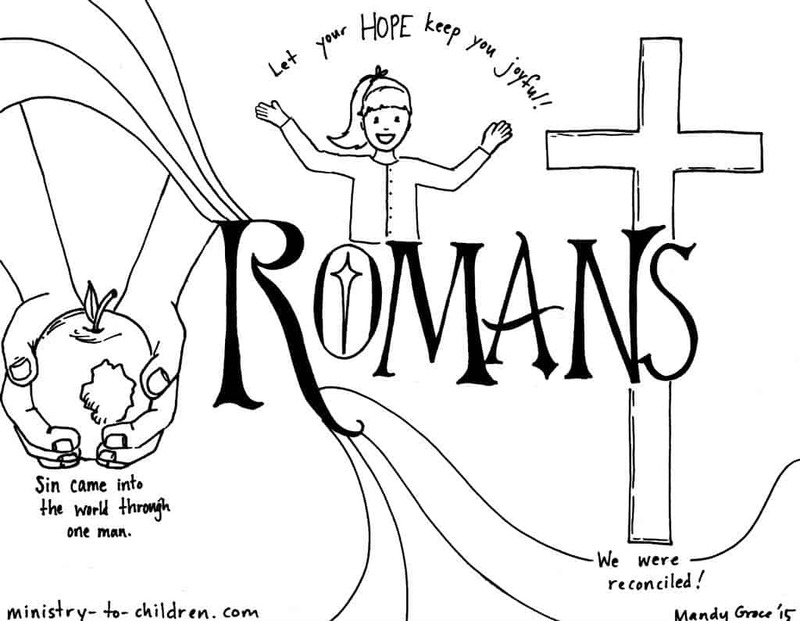 This free coloring page is based on the Book of Romans. It’s one part of our series of illustrations for each individual book of the Bible. The illustration shows several well-know scripture quotes from the book of Romans. If you are teaching about the books of the Bible, you will also enjoy this review worksheet about Paul’s New Testament letters. Mandy has also created a story-board coloring page about Paul’s Conversion. Don’t miss all our printable Bible coloring pages for kids. Our friend Kaye posted a whole lesson series for kids based on the Roman Road.